Monica – Phoenix Athletics, Inc. Wife, Mother, Schedule Master, Lover of books, inversions, and spicy foods. CPA, MBA. I have been crossfitting for 7 years and have been practicing yoga for almost 2 decades. I’ve practiced martial arts, ran the Chicago Marathon, dabbled in triathlons, and tried an Olympic weightlifting competition. Currently, I have been practicing the Ashtanga Yoga primary series and studying the other aspects of yoga outside of asana practice. 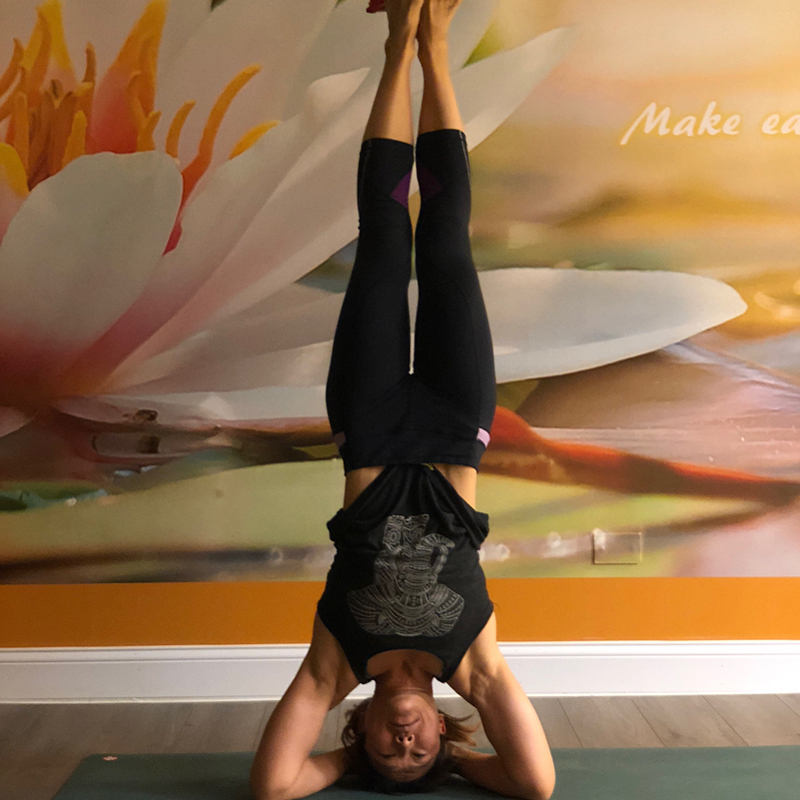 I started a teacher training at Tribalance Yoga Center, got pregnant with my third child, and then completed my training with another class. However life unfolds, I strive to take one day and one breath at a time and also strive for continual growth and self-improvement. I love to share my enthusiasm for CrossFit, weightlifting and yoga. Ask ALL the questions, especially if something doesn’t feel right. Watch those around you that are more seasoned to speed up the learning process. Show up as often as you can. Be accountable to yourself and our community. Once you are up to speed on the movements, lift as heavy as you can do so safely. Intensity is why this type of thing works to increase your fitness. Give your max effort for each day, each workout- That may look different on any given day. A smile or a laugh when something feels especially hard sometimes can make all the difference.